The end of the year is often busy with holiday decorating, baking, and shopping. Of course, making time for your finances during the holiday season is also an important part of the end of the year festivities! Box up your unused clothes, books, and household goods and drop them off at your local shelter or Goodwill. You’ll likely be making room for more gifts and toys, so it’s a good time to clear out the clutter. In addition, it’s a great time of year to make donations to your local food pantry. Pay your mortgage and real estate taxes. You can pay your January mortgage and real estate taxes in December. By doing so, you can itemize them on this year’s taxes. Use all your flex spending. Make sure you’ve used all the money in your Flexible Spending Account; the money will expire at the end of the year with the use-it-or-lose-it rule. Sell stocks at a loss. If you have investments showing a negative return, sell them and take the tax deduction. You can deduct $3,000 worth of losses against your income (more if you have other capital gains to offset the losses). If you get a state deduction and use your home 529 plan, you’ll want to make your contributions before year end. Make your Roth IRA conversions. The special tax rules to spread the taxes over 2 years for 2010 Roth IRA conversions expire at the end of the month. If you were considering a conversion, it could make sense to complete it before the end of the year. 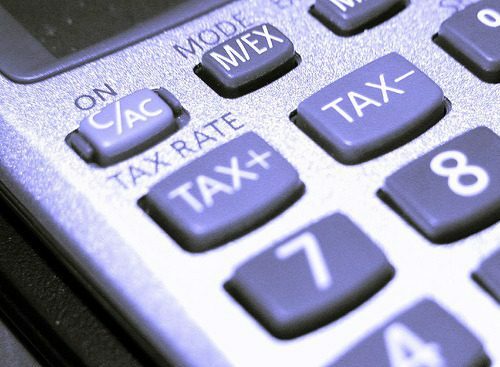 The 2011 Tax Deal currently in the works could change your tax situation. Keep an eye on the news to make sure you know which things will apply to you, like the child tax credit and the tuition tax credit if you have kids. When you’re thinking about taxes, it’s also a good time to think about your insurance deductibles and limits. Even if you don’t look at your insurance at the end of the year, be sure to Pick a Date for an Annual Insurance Review and put it on your calendar. Taking just a few hours out of your busy holiday schedule and focusing on your finances will pay off in the new year! Have you completed all of your year end finance moves?